Weddings are often unfairly associated with waste and excess. The problem lies in the fact that this is one of the most momentous occasions in your life. Yet it’s still possible to make eco friendly decisions when planning the big day. This is particularly appropriate if you’re having a woodland wedding. In this blog post, Hall Farm will explore some of the eco friendly choices you can make while planning your woodland wedding. The first rule of planning an eco conscious woodland wedding is: source locally. This not only guarantees that your flowers and food will arrive in their freshest condition, it also increases the likelihood that they were sourced ethically. From an environmental point of view, it keeps your wedding’s carbon footprint down by reducing the distance florists and caterers will have to travel. If you’re looking for local caterers to serve your guests an unforgettable meal, or seasonal trestles and clutches, Norfolk is the wedding destination for you. Our second recommendation is that you use as many recyclable materials as possible for your woodland wedding, or hire materials rather than buying them outright. Plastic waste is one of the leading contributors to marine pollution, and many single-use plastics can’t be readily recycled. We can put you in touch with local suppliers for much of the necessities, and we have striking decorations available to dress up your woodland wedding at no extra charge. We also ask that any confetti you bring along is biodegradable. There is a growing trend of wearing heritage, or second-hand wedding dresses for the big day. Brides have worn their mother’s dresses at their own ceremonies for years, yet its a tradition that’s fallen out of favour in recent times. Now it’s opened up even further, with a range of secondhand choices available online and at boutiques for a fraction of their full price. This one is self-explanatory, and is one of our few rules at Hall Farm Cottages. 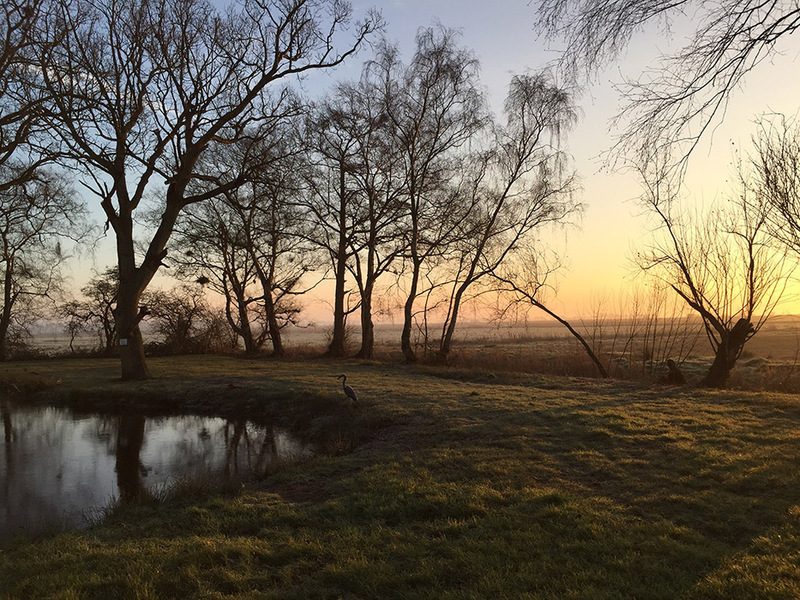 We’re nestled in a gorgeous corner of the Norfolk Broads, one of the UK’s most prestigious national parks. It’s important to us that while we offer dreamy woodland weddings, we also protect what makes the Broads so special. That’s why we ask all our guests to clear up all rubbish and empty bottles by the end of their four day stay. If you would like any more information about planning an eco conscious woodland wedding at Hall Farm cottages, feel free to contact a member of the team. We’re happy to answer any questions, and will handle bookings as soon as possible. We’re looking forward to hearing from you!